In the third quarter of 2018, sales increased 109% to approximately $8.41 million versus $4.03 million during the comparable quarter in 2017. Working capital has improved 315% to $23,139,534 due to a $10 million private placement of common stock in May, an $8.9 million convertible debt offering in January and $2.5 million from the exercise of warrants and options. As a result, shares outstanding have increased 62.9% to 27,437,113 shares since year-end 2017. As part of its e-commerce strategy, management is pursuing the development of e-commerce platforms. In September 2018, the company acquired and now operates HeavyGardens.com, an online storefront for cultivators. The acquisition added an operational e-commerce sales channel to GrowGeneration’s (OTC:GRWG) brick & mortar store chain. Eventually, the company’s 10,000+ cultivation products will become available to growers in every state via the HeavyGardens website. Management plans to extend the reach of HeavyGardens to Canada and Mexico in the near future. The e-commerce site generated sales of $124,794 during the third quarter. Management projects that HeavyGardens will generate revenues of over $5.0 million during 2019. 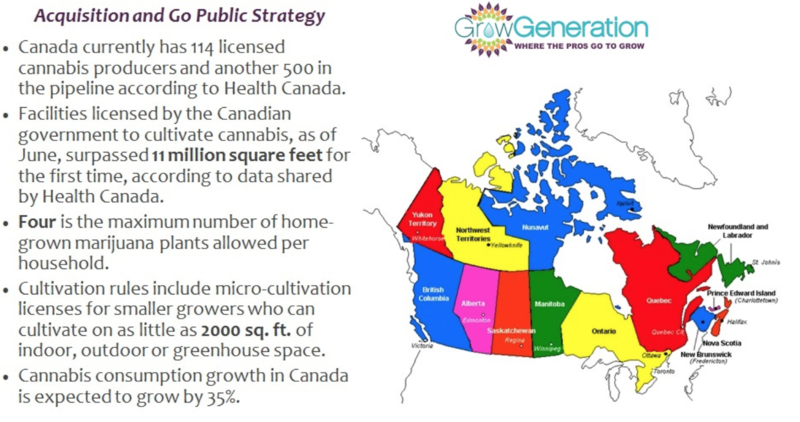 On October 16, 2018, GrowGeneration announced the planned formation of GrowGeneration Canada in order to service the Canadian cannabis cultivator. Management plans to acquire profitable hydroponic retail, wholesale and grow supply businesses in the provinces of Ontario and British Columbia, which will be financed by accessing the Canadian public markets. The company’s second retail store/warehouse operation location in Oklahoma is scheduled to open on January 14, 2019. Complementing the Oklahoma City location, the 10,000 square-foot facility will be located in Tulsa. The Boulder Colorado store was closed on September 30, 2018 with commercial customers now being served by the Denver store. Therefore, the company’s store count will temporarily decline to 18 until the new Tulsa Oklahoma store opens in January. Our earnings model indicates that the company should turn EBITDA positive in the upcoming quarter. Over the last two months, the cannabis stocks have endured a significant decline with cannabis-related companies correcting an average of 19% and speculative cannabis companies dropping 53%. In the third quarter of 2018, sales increased 109% to approximately $8.41 million versus $4.03 million during the comparable quarter in 2017. The increase was primarily due to eight new stores openings, which more than offset the less than 1% declines in sales in Colorado and Nevada and the effect of store consolidations. The acquisition in Rhode Island added $1.1 in sales. Revenues from the California market increased 319% (or $2.6 million) to $3.4 million, primarily due to the addition of three new acquired stores, which more than offset the $81,000 decline in sales from the fires near the Santa Rosa store. Operating expenses rose 73.6% with the main contributors being a 76.7% increase (or $614,289) in store operation expenses and a 71.2% increase (or $191,713) in salaries and related expenses. The company’s net loss contracted to $784,573 (-$0.03 per diluted share) from $460,877 (-$0.03 per diluted share) in the comparable quarter in 2017. Since the year-end 2017, shares outstanding have increased 62.9% to 27,437,113 shares. Working capital has improved 315% to $ 23,139,534 due to the private placements completed in January and May. In October 2018, Canada became the largest country in the world to legalize cannabis. With burgeoning growth of licensed producers, along with provisions for micro-cultivation licenses and home-growers, Canadian cannabis consumption is expected to grow by 35%. A Deloitte survey estimates that the total Canadian cannabis market (medical, illegal, and legal recreational) could generate between $1.34 billion and $7.17 billion in sales in 2019. On October 16, 2018, GrowGeneration announced the planned formation of GrowGeneration Canada in order to service the Canadian cannabis cultivator through a portfolio of one-stop, grow supply retail stores, together with supporting wholesale equipment operations and grow supply companies. Initially, management is seeking to acquire profitable hydroponic retail, wholesale and grow supply businesses in the provinces of Ontario and British Columbia. With the acquisitions estimated to cost at least $20 million, the company plans to finance GrowGeneration Canada separately from US operations by accessing the Canadian public markets. On November 29, 2018, GrowGeneration announced the signing of a lease to open its second retail store/warehouse operation location in Oklahoma. The 10,000 square-foot facility is located in Tulsa and is scheduled to open for business on January 14, 2019. On September 17, 2018, GrowGeneration announced the acquisition of HeavyGardens.com, an online seller of hydroponic, specialty and organic gardening supplies. The acquisition adds an e-commerce sales channel to GrowGeneration’s brick & mortar retail chain. Launched in July 2017, this online platform will ultimately expand access to the company’s 10,000+ cultivation products to every state. Also, management plans to extend the reach of HeavyGardens to Canada and Mexico in the near future. Management projects that HeavyGardens will generate revenues of over $5.0 million during fiscal 2019. On November 13, 2018, VividGro announced that GrowGeneration has been designated as its first preferred vendor for the GroBar-X series of lighting solutions. In addition to carrying GroBar X GrowGeneration will carry not only GroBar X, but also VividGro’s FlowerMax, GrowMax and VegMax fixtures. 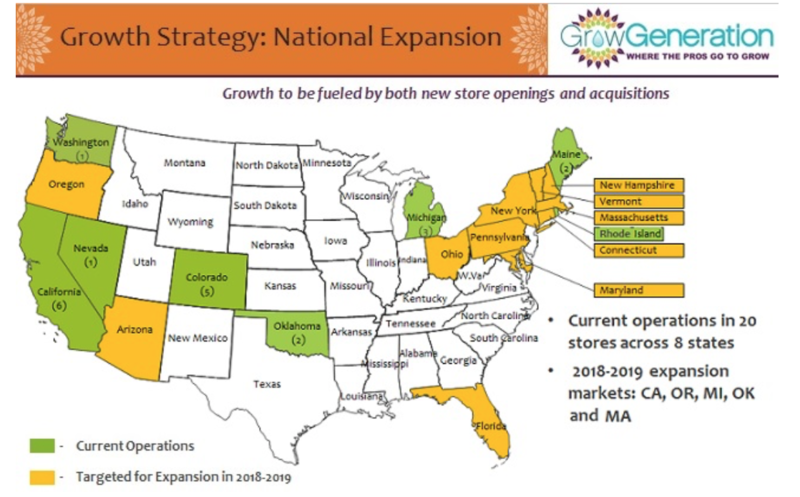 GrowGeneration owns and operates specialty retail hydroponic and organic gardening stores that target the rapidly expanding licensed cannabis cultivators in key markets throughout the United States, specifically where the use of medical and/or recreational marijuana has been recently legalized. Also, management is expanding the company’s model into Canada where recreational cannabis was legalized in June 2018.The company’s stores cater to the full spectrum of growers from small home-grower operations to large-scale commercial farms, both indoor and outdoor. Starting in 2014, the company has opened and acquired numerous stores, strategically upgrading initial sites to improved locations with higher visibility, stronger customer bases, increased square-footage and higher volume potential. Currently, the company is operating 18 stores: five in Colorado, six in California, three in Michigan one in Nevada, one in Washington State, one in Rhode Island and one in Oklahoma. Sales growth is expected to be driven by increasing the number of company retail stores, organic growth at existing stores and online initiatives with HeavyGardens.com and amazon.com. In addition, the company has formed a subsidiary, GrowGeneration Hemp Corp, to help further develop the domestic hemp farm industry and further advance GrowGeneration’s penetration in serving this growing market. Management’s goal is to become a national provider of equipment and supplies for growing cannabis, along with organic fruits, vegetables, herbs, greens and other plants. Over the last four years, the company opened or acquired many locations such that it currently owns and operates 18 retail stores, which have been right-sized and positioned in optimal localities. The company continues to expand targeting states where legislation is creating huge demand for cannabis cultivation. The sales staff is knowledgeable providing advice and solutions to customers. Another customer inducement is the breadth of inventory, which allows for a one-stop shopping experience. Management’s other initiatives include developing e-commerce platforms (currently the company’s website, HeavyGardens.com and amazon), the establishment of a national sales team and providing high-margin house brand products. Ultimately, the company’s size should provide economies of scale, particularly volume discounts from manufacturers and distributors. 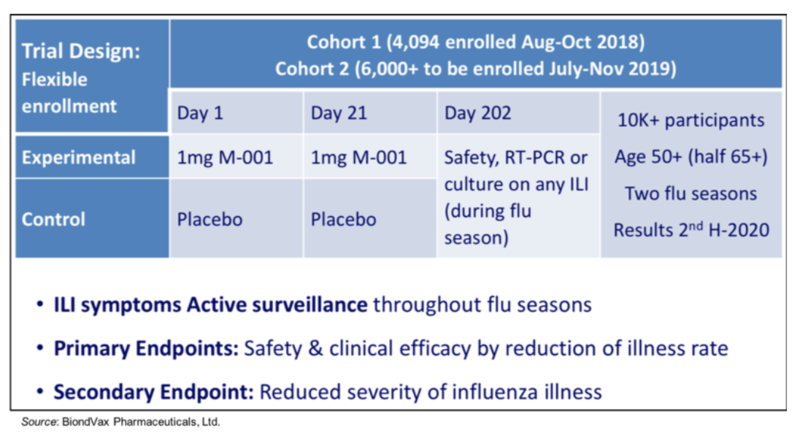 Based on comparative analysis that utilizes the valuation metric of Price/Sales, an industry mid-second quartile P/S multiple (on TTM sales through the third quarter of 2018) indicates a share price target of $4.85.